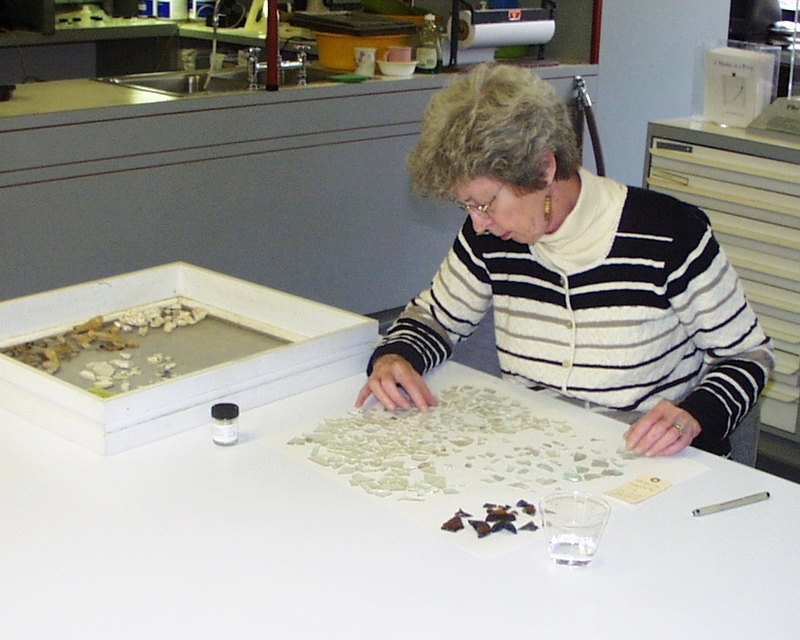 Review the role of conservation in the field and in the laboratory for archaeological projects. Discuss planning and preparation for the care of excavated materials. Learn about the condition of materials upon excavation and "first aid" packing and transport methods for artifacts from both dry and waterlogged contexts. Examine artifact preservation and methods to facilitate interpretation. Learn how to perform simple stabilization techniques such as dewatering waterlogged bone, removing chlorides from objects, and consolidating highly degraded glass, as well as exploring tips for mending vessels. This seminar is offered in conjunction with Archaeological Curation and Collections Management. "[The seminar offered] a nice combination of theoretical background and some very practical tips to use in the field." "[I learned] different methods for retrieving artifacts responsibly and the ways in which they can be conserved." "[The seminar included] very helpful information for preplanning field projects and ways to handle surprises in the field." "[I gained] a solid understanding of what field conservation entails-from planning to management to hands on." Archaeologists; archaeological lab staff; historic preservation specialists; project managers.